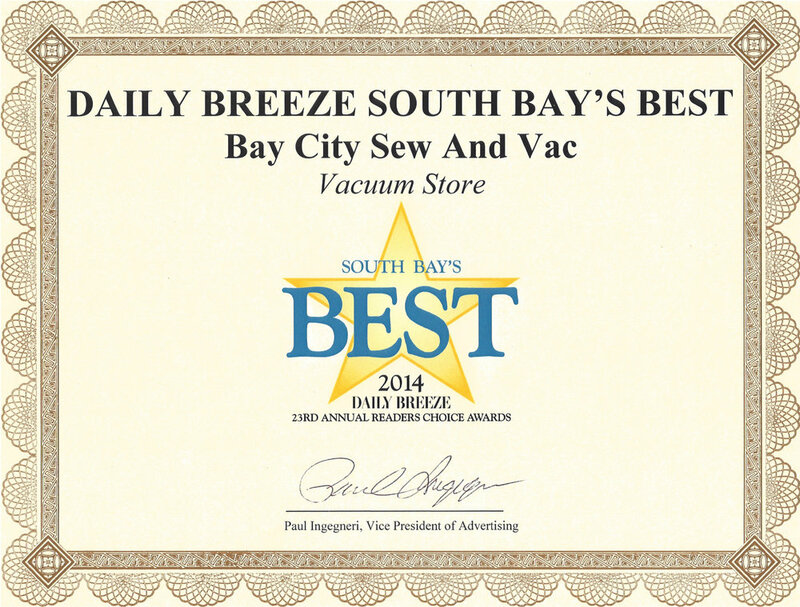 Welcome to Bay Cities Vac, Sew & Carpet. Family Owned and Operated, serving customers across Southern California Since 1958. Here at Bay Cities we guarantee to be the lowest price you will find, plus all sales, service, repairs and installations are fully guaranteed. Our fully experienced & knowledgable staff is ready to serve you today. We Carry a LARGE selection of Residential and Commercial Resilient Flooring, Engineered and Luxury Vinyl, Engineered Tile, and Laminate Flooring. We carry a large selection of Hardwood, Cork, and Bamboo Natural Flooring in may different styles and shades for both Commercial & Residential Applications. We carry a variety of sewing machines, sewing machine accessories, and books. We carry a large selection of Residential and Commercial Carpets, Area Rugs, Custom Area Rugs, and Runners in ALL NATURAL and Synthetic Fibers. 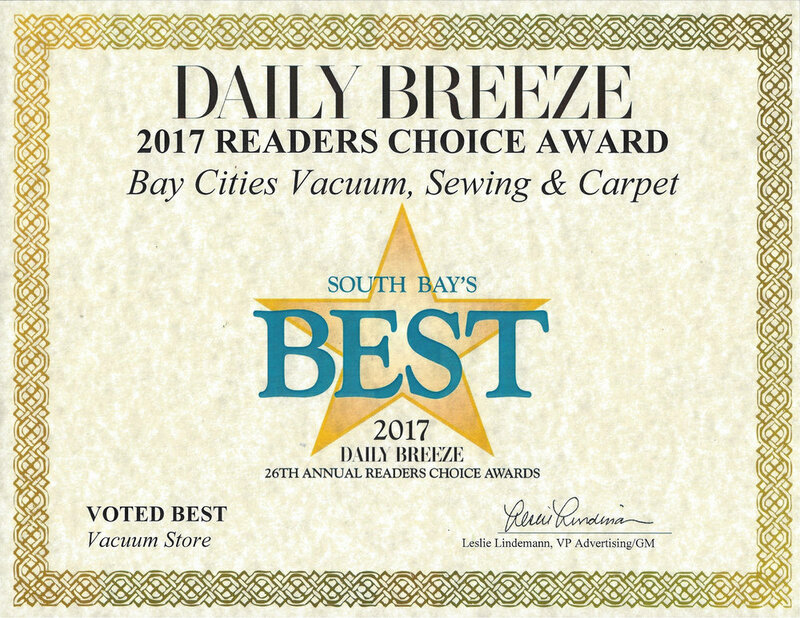 We have had the pleasure of serving the South Bay since 1958 and we are Honored to have been chosen as South Bay's BEST Vacuum Store by our customers. Thank you from our FAMILY to yours!